We're excited to announce the newest addition to our series of scholarships, dedicated to empowering underrepresented groups in tech. The Breaking Barriers scholarship will support LGBTQA+ folks looking to enter the development and tech world. Lack of diversity in the tech space is an ongoing issue. With the booming growth of the Canadian tech sector, and the talent gap that just can’t keep up with demand, it’s time to address diversity issues by filling that skills shortage with a more diverse team. We also know that diversity is good for business - a study by McKinsey found that companies with a more diverse leadership team benefit in profitability, outperforming less diverse teams by nearly 30%. This scholarship is part of our commitment to empower underrepresented groups in technology with $150,000 in scholarships throughout 2019. 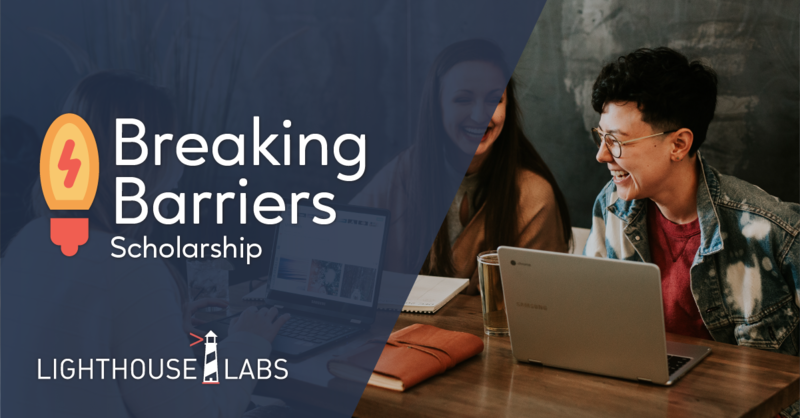 Breaking Barriers joins our suite of previously launched scholarships, including the Jaime Leverton Scholarship for women, and Futures in Innovation and Technology for Indigenous peoples in British Columbia. Applications are open now for the Breaking Barriers Scholarship, rolling out in April 2019. Check out the scholarships page for more information and application details.